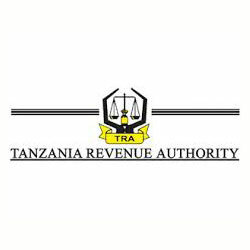 The Government of Tanzania announced that is currently evaluating a considerable reduction on the Value Added Tax (VAT) on houses in order to boost the investment in real estate in Tanzania and raise living standards. The reduction on the VAT is aimed at helping low income families to purchase a property from the National Housing Corporation (NHC) which this year started the construction of 139 affordable houses, part of a goal of 15,000 additional units in 2015. Ms. Angela Kairuki, Tanzania deputy Minister for Lands, Housing and Human Settlement said that the main aim of the Government is to ensure those in low income earning also access NHC services. “If you add 18% of VAT on these affordable houses sold by NHC, the final price is exorbitant”, said Mr. James Lembeli, Chairman of the Parliamentary Lands, Natural Resources, and Environment Committee. VAT is charged on any supply of goods or services in Mainland Tanzania at a rate of 18%. VAT has been reduced in recent years; it was 20% until the end of 2009. The National Housing Corporation (NHC), the Tanzania state owned corporation whose mission is to facilitate access to innovative housing solutions in Africa, is currently lobbying for removal or reduction of VAT at 18% on construction materials and houses and is hopeful to increase its total project investment by 25% by the end of 2015. The Government of Tanzania and the NHC are working together towards a solution to the housing shortage that the country faces with only 3 million houses for a population of more than 49 million people.